With every calendar year that flits by, we’re greeted with a torrent of other Christmas tree theme ideas that can ignite ideas and overwhelm in equal measure. But what so many of us really wish for is a single place that you can turn to as a one-stop-shop for expert guidance and fresh inspiration – a source that tells you all you need to know when it comes to how to decorate a Christmas tree. In 10 bitesize steps, the LuxDeco team do precisely that, with a little help from creative genius Jeff Leatham, Artistic Director of Paris’ Four Seasons George V and Los Angeles at Beverly Hills hotels. He also just so happens to create displays for Oprah Winfrey, Madonna, the Kardashians and even His Holiness the Dalai Lama. If anybody is a Christmas tree pro and if anybody knows how to decorate a Christmas tree step by step, it’s him. 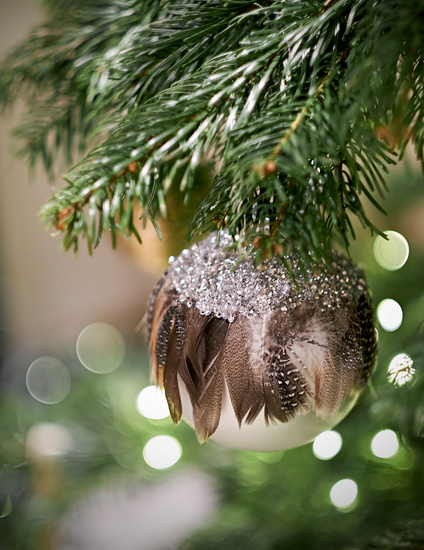 Decorating a tree is one of Christmas’ most magical moments. Savour and enjoy the anticipation of it by penning a date in the diary so it’s something to really look forward to. Not only that, by fixing a day to devote to trimming the tree, you’re likely to make it more of an occasion. Focus the entire day around it, filling the hours with festive baking, Christmas card writing and even your first Christmas film. This is an activity not to be rushed or you won’t enjoy it to the fullest. ‘Tis the season so enjoy it! Many wonder but the answer to ‘when to put up Christmas tree?’ is up to you entirely. Some people believe the earlier the better, others choose to do 12 days before and taking it down 12 days after Christmas Day – anything goes. Just make sure that when you do, you enjoy it! 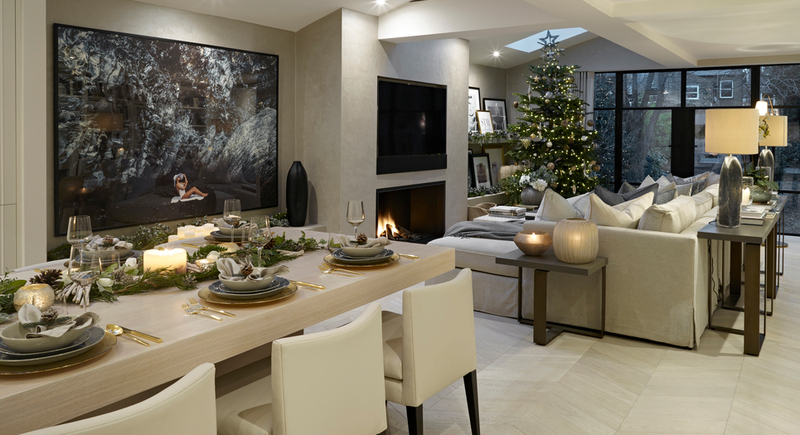 Some homes have a clearly identifiable spot to position their Christmas tree, but with other interiors it’s not quite so clear-cut. Perhaps there’s more than one obvious choice, or at the other end of the spectrum, maybe nowhere is immediately clear and you’ll need to reconfigure items of furniture and the layout of your chosen room to accommodate one, be it a kitchen, dining room, living room or hallway. Location location location is the second step in how to decorate a tree and comes way before baubles and garlands. 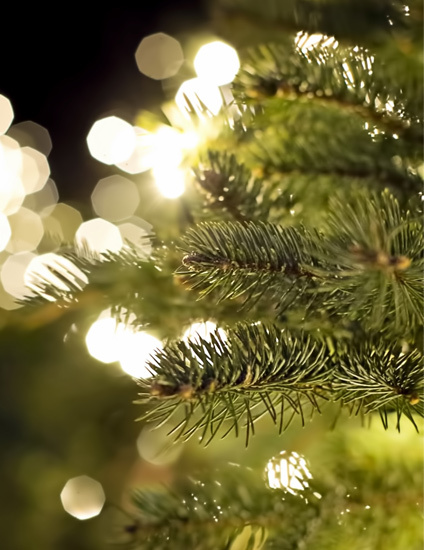 Choosing a Christmas tree doesn’t just involve deliberating over size, but whether you prefer one that’s bushy or sparse, wide or skinny, and the biggest question of all – whether to plump for real or artificial. But when it comes to artificial Christmas trees, the options are greater still with coloured varieties, bare branch designs that look closer to a tree without its leaves than to a traditional Christmas pine, and of course the classic Christmas tree aesthetic. If you’re unsure of which is right for you, ask yourself firstly if you want a classic tree, and if yes, whether you want to have one without the issue of falling needles and that you can use year after year. If no, then you can begin scouring through the multitude of faux designs. Just bear in mind that if you go for something inspired by a current trend, that its longevity will be reduced. Why do we decorate Christmas trees? Because of tradition? 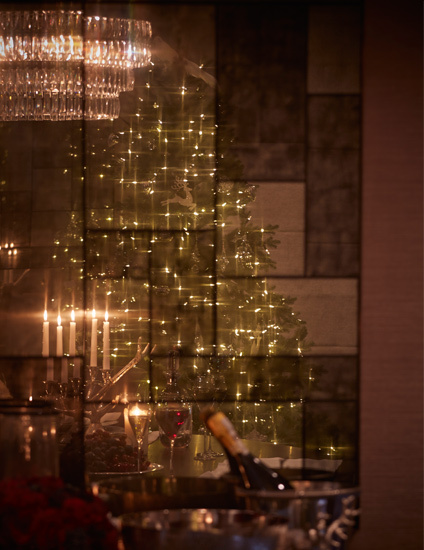 Because celebrating Christmas and its heartwarming festivities is a fun twist to our homes’ interiors? Because most people do? The answer is yes to each of those, but that doesn’t mean that knowing where to begin with choosing your decorations is straightforward. "When it comes to lights, there can never be too many! Use double the recommended amount and wrap your tree’s branches for a much more impressive look." Another Christmas tree decorating tip is to look at adding a garland of sorts. Generally, it’s only lighting that you wind and weave around your tree, but garlands or ribbons will make your tree seem more robust and it adds another layer of texture and decoration. Thin beaded strands, wire strands adorned with delicate fir cones or stars, and even denser green garlands that you’d normally keep to mantels and tabletops can all be used in your tree’s scheme. And if you’ve been asking yourself how to decorate a Christmas tree with ribbon other than tied as bows instead of baubles, you can use a long length and treat it as a continuous garland. Drape them from branch to branch or, with beaded garlands and ribbon in particular, let them hang more loosely around the entire tree. If your brow is furrowed at how to put garlands on your tree it’s always wise to start at the top of the tree, gradually working your way down, stepping back from time to time to be sure you’re happy with the spacing. The last thing you want is to need to undo it all when you get to the bottom. This is the part that we all love the most and tend to think about the most. Just remember to stick to your colour scheme so that your tree doesn’t lose direction and to not use just one style or size of Christmas tree decoration. “My last tip would be – just in general – using different sizes of balls so that when you look at it, it’s interesting. Don’t just use an 8 centimetre ball – maybe start with a 5 centimetre, then an 8. Even if they’re the same colour of tree ornaments, using different sizes adds a little something different,” suggests Jeff. The size of your decorations will also affect the amount that you use. For example, if you’re wondering how many baubles for a 6ft tree, you’d use more if they were all tiny and less if they were all on the larger side. There’s no rule. Some people like their tree to be busier than others. 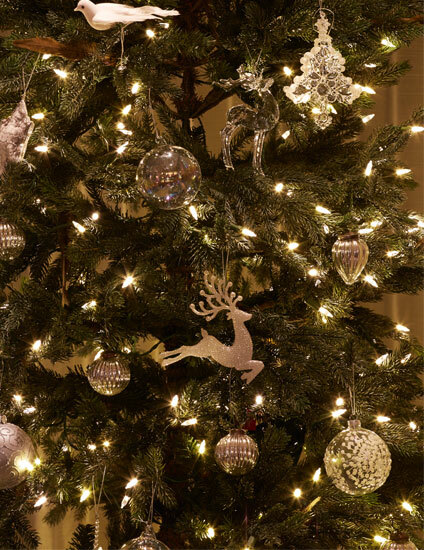 Whatever your preference, just be sure to spread your decorations across the entire tree rather than weighting them all to one side (which is surprisingly easy to do) and have some set back into the depths of the branches and some dangling from the front. The icing on the cake. Traditionally, it’s the choice between a star or an angel which are still two timeless and worthy contenders – both adding a captivating celestial presence. For a traditional slant, find an angel which takes dress and grooming tips from the Renaissance – flowing robes, halos and jewel tones – or try a traditional star topper of the antiqued mirror variety. New renditions of the classic motifs are another way to try something new without straying too far from the past, like LED star silhouettes or burnished copper angel figurines. 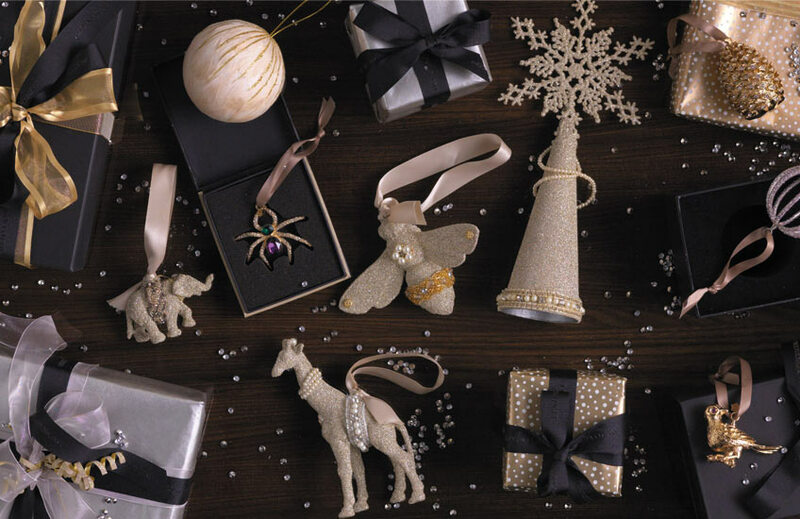 If you’re looking for something a little different, cast your net wider and consider anything from glitter-dusted snowflakes to contemporary resin toppers that look a little like icicles that sit pride of place on your tree for all to look up and admire. Planning to decorate your tree with seasonal floral picks? Use a cluster of these atop your tree for a striking topper. All that’s left to do is to begin your Christmas shopping, get everything wrapped up and under the tree for the guessing games of who’s got what to begin, and to enjoy seeing the twinkle of your Christmas tree lights through the window as you get home every day.